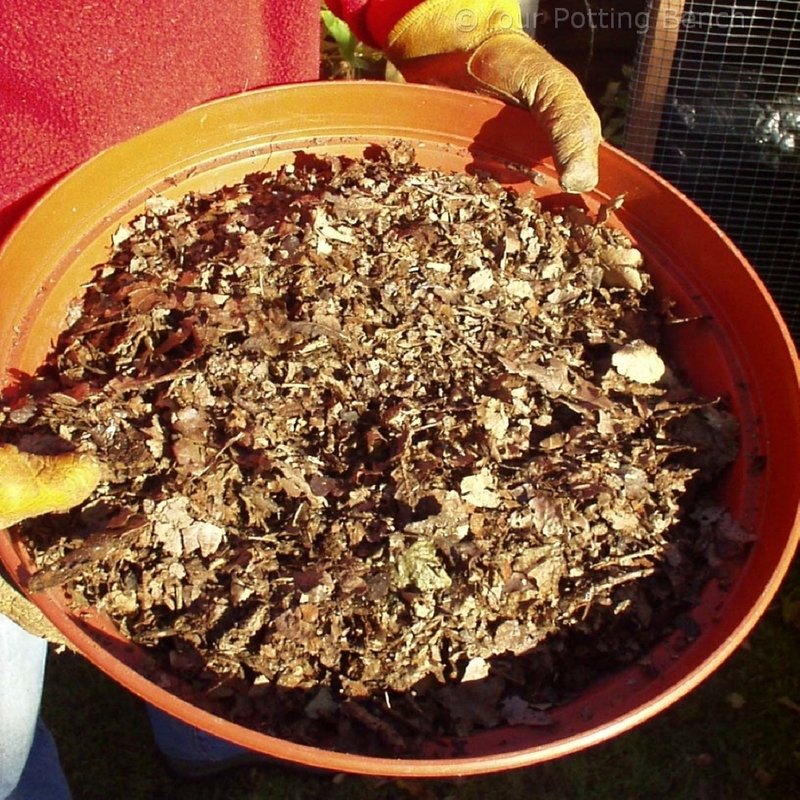 Fallen leaves provide a plentifull source of nutrients for your garden. 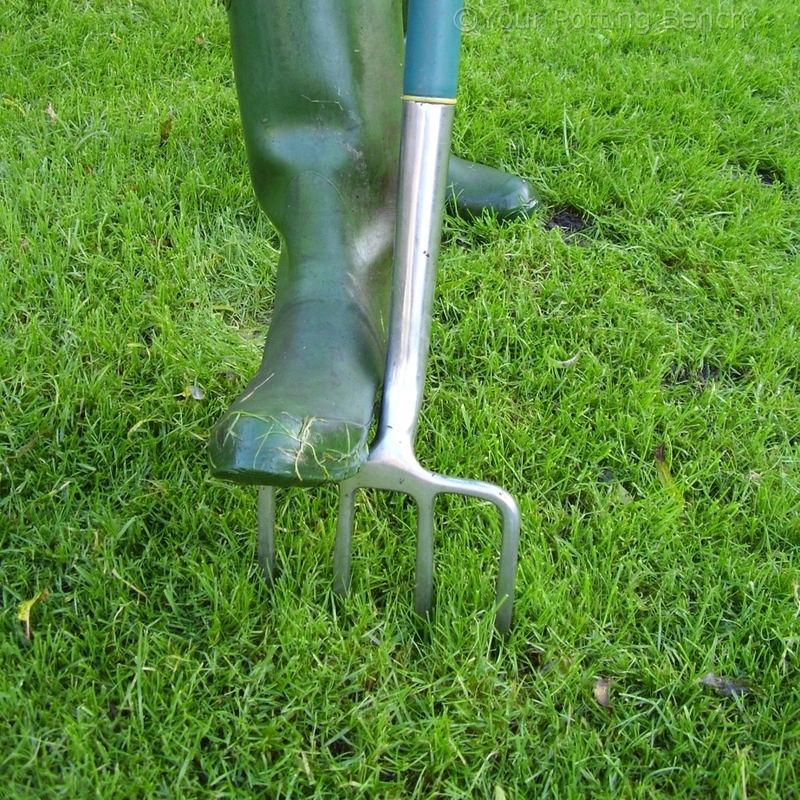 Collecting them from the lawn also prevents damage to the grass. 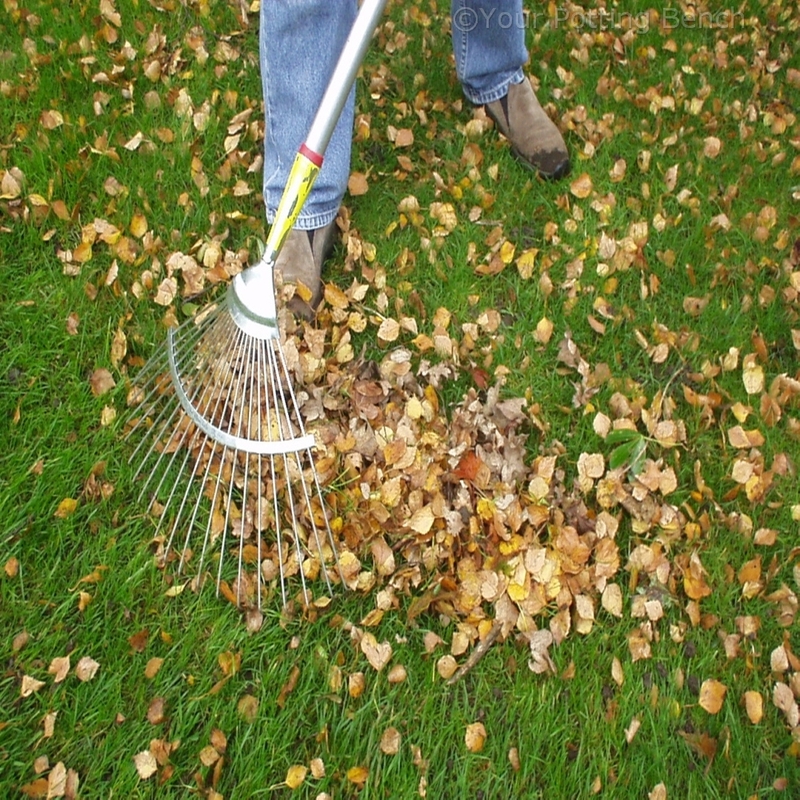 Use a spring-tined rake to gather all the leaves together in a heap. 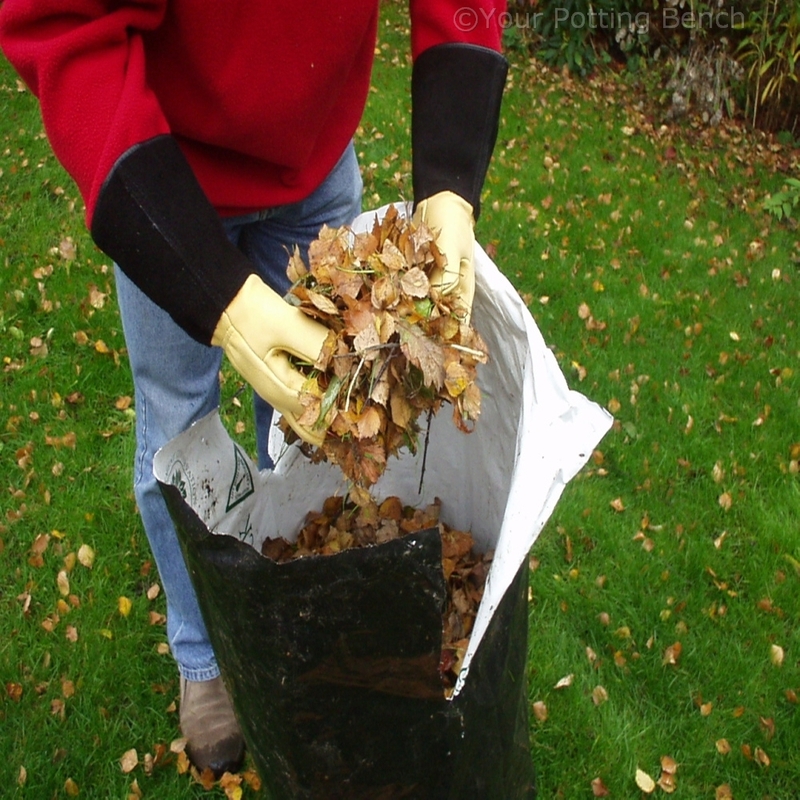 Place the collected leaves in a sturdy plastic bag. 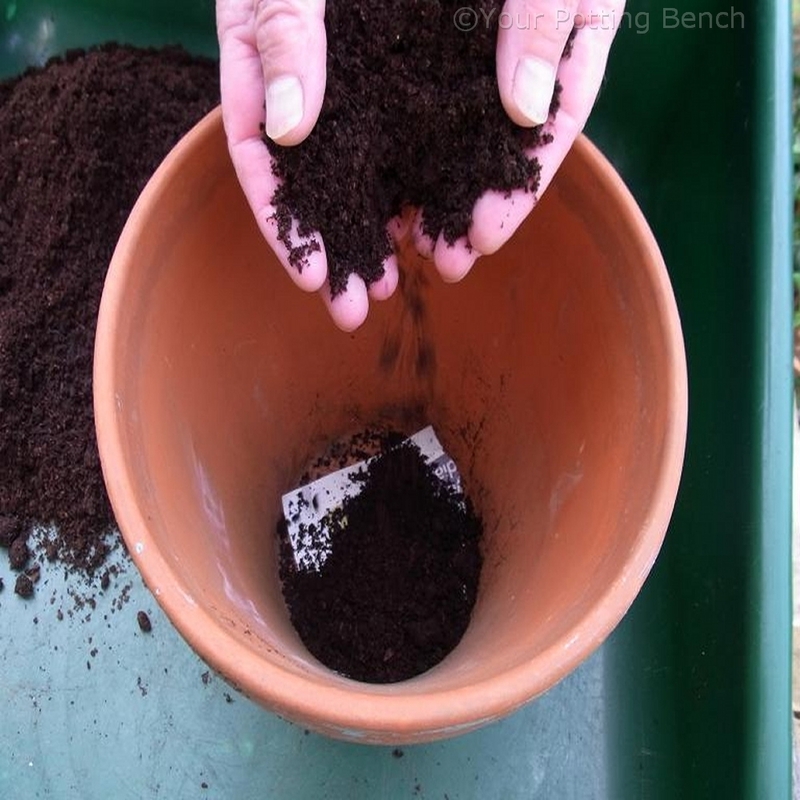 You can use an old compost bag turned black side out to absorb the sunlight and heat the cotents to speed decomposition. 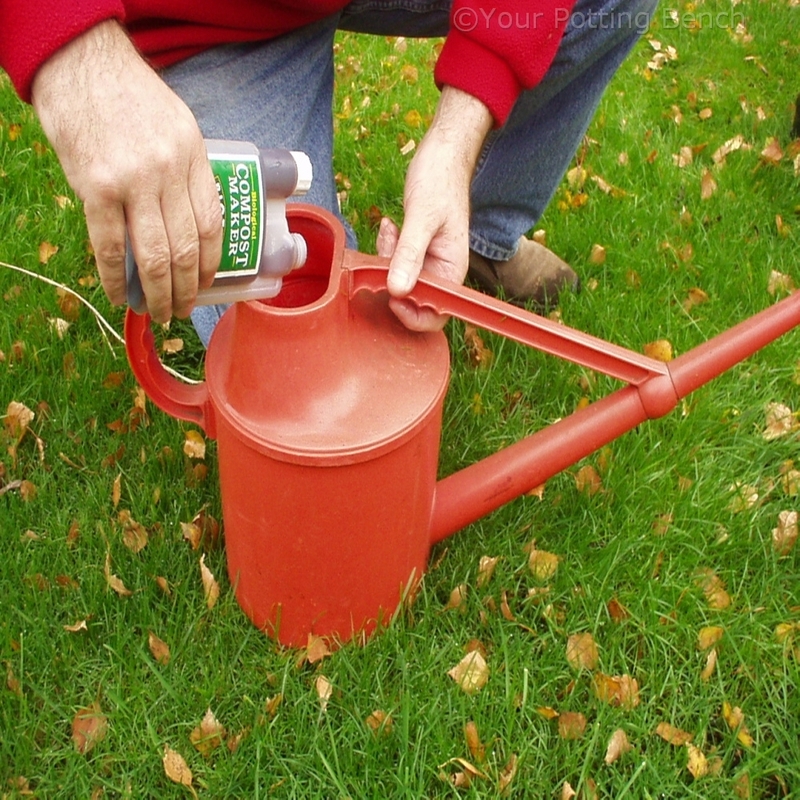 If you wish you can water the contents of the bag with a compost activator solution. 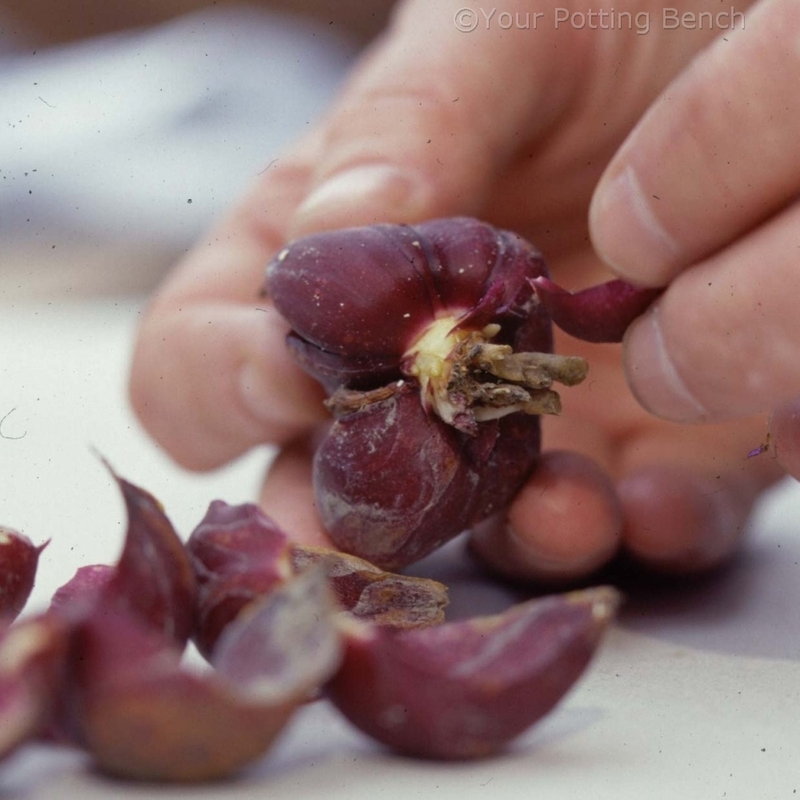 Fold the top of the bag over and stand it in a sunny spot. 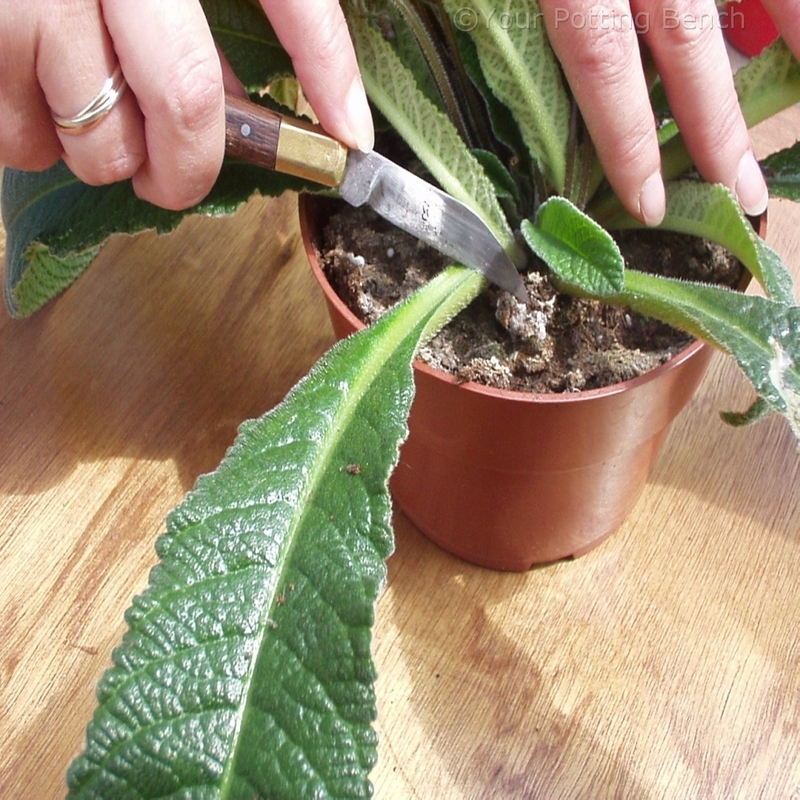 Leave the bag for 12 months at which point the leaves should have broken into a rich, nutritious compost that you can spread on your borders.